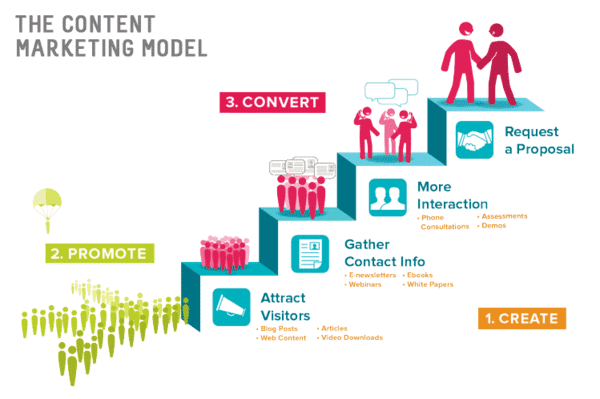 Having a solid content marketing strategy is crucial. Although they are different, content marketing and SEO are becoming more intertwined and in some cases referred to synonymously. Basic use of keywords and pay-per-click marketing still have their place. But online marketers no longer can only focus efforts on keywords and bid up their rank. One reason PPC no longer works is the simple fact that there are many more online marketers than five or ten years ago. Ultimately this results in more competitors who are spending more money and likely doing some things that work better than you. Just plugging keywords into web pages and bidding on them for higher rankings is no longer enough. Using a good content marketing strategy will drive more traffic to long-tailed keywords, which have far less competition and result in much more affordable pay-per-click results as well as better organic search results. Content marketing can enhance brand perceptions among consumers, establish site authority and credibility, and make conversions more profitable. But instead of targeting specific keywords, content marketing is designed to capture a wider audience and drive more relevant traffic to websites. SEO practices are still necessary to the particular articles, and when combined with good content marketing can significantly improve results. Some of the best content marketing strategies make use of sound SEO tactics, such as using H2 headings containing keywords, using compelling and descriptive headlines, and writing content aimed at people who skim articles rather than read them from start to finish. That is where descriptive H2 headers can make a large difference for SEO results. H2 headers help break up the page content and enable skimmers to sift through content and find the most relative information quickly. Bullet points and using original artwork, graphics and photos also help to improve page rankings and marketing results. Do you ever combine SEO and content marketing tactics and strategies? This is a solid blog post! Thanks for sharing.